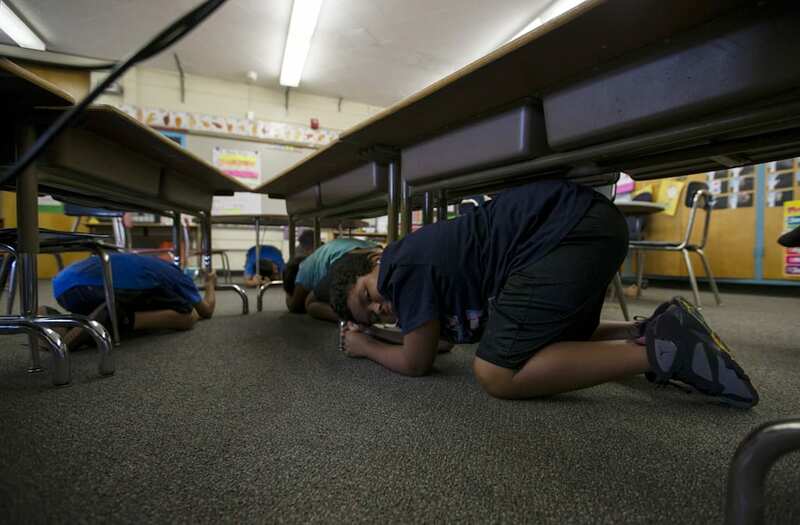 LOS ANGELES (Reuters) - Millions of Californians were due on Thursday to simultaneously drop to the floor, clamber under tables and cover their heads for a minute or two of imagined seismic turmoil during the latest annual "Great ShakeOut" earthquake drill. The event, first held nine years ago in the Los Angeles area, was organized by scientists and emergency officials as part of a campaign to prepare the region's inhabitants for a catastrophic quake that experts say is inevitable and long overdue. The exercise has since expanded to encompass all of California and most other states, as well as some other countries, including Canada and Japan. In many places, entire school districts, colleges, workplaces and municipalities have registered to take part. In keeping with the drill's quake-survival message, participants are urged to "drop, cover and hold" - meaning get down on hands and knees, cover their heads and necks under a sturdy piece of furniture and hang on until the hypothetical shaking stops. 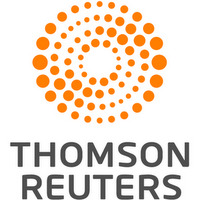 To help participants get into the mood, organizers have even prepared audio recordings of quake-rumbling sounds that can be downloaded, with or without narration, and played during the drill. Such rehearsals are especially important in regions such as Southern California, where "it's not a matter of if but when that catastrophic earthquake will strike," said Ken Kondo, spokesman for Los Angeles County's emergency management office. One of the larger gatherings planned is to be held at the Natural History Museum in Exposition Park near downtown Los Angeles. Following the drill, the city fire department, American Red Cross, police and other agencies will stage a full-scale earthquake-response exercise, setting up a medical triage area, emergency shelters and mass-feeding operation, Kondo said. That drill is based on the premise of a magnitude 7.8 quake striking the southern end of the San Andreas Fault, a subterranean chasm between two massive plates of the Earth's crust that extends hundreds of miles across California. The scenario was devised by geophysicists and engineers who envisioned a calamity that would leave 1,800 people dead, 50,000 injured and 250,000 homeless while severing highways, power lines, pipelines, railroads, communications networks and aqueducts, and toppling some 1,500 buildings. As of late Wednesday, nearly 53 million participants were registered for ShakeOut drills worldwide, including more than 10.2 million in California, organizers said. The exercise is set to begin at 10:19 a.m. local time, corresponding with the date of the event. A rupture of the San Andreas Fault in northern California caused the massive quake that laid waste to San Francisco in 1906. The last "big one" to strike south of the San Gabriel Mountains near Los Angeles was 300 years ago. The average interval between such quakes in that region is just 150 years, experts say.